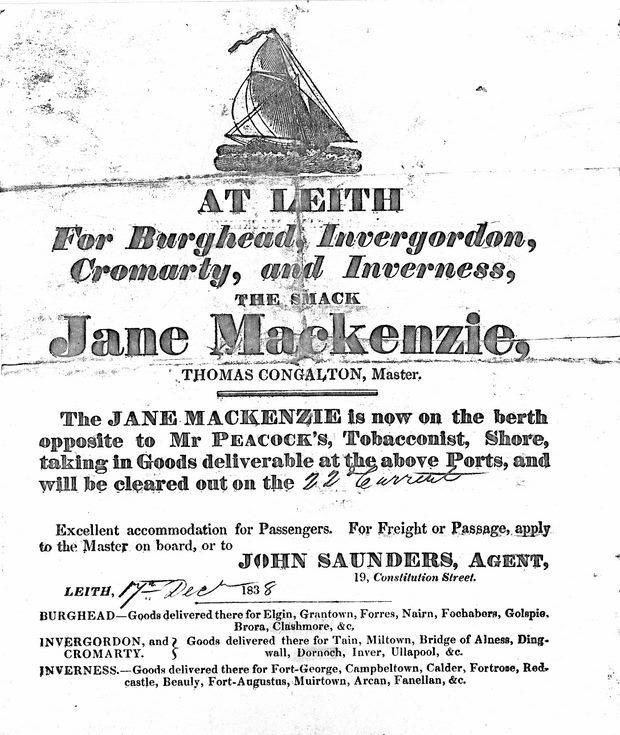 Does anyone know who owned the Jane mackenzie and who she was named after. Built in Leith in 1820. Registered at Inverness in 1826. Bought by Jonathan Wells, Ironfounder in Inverness who then sold shares in the ship to others. Jonathan Wells' shares were sold in 1836 half to his son John and half to the ships master Thomas Congalton. I wonder who Jane Mackenzie was. Thomas Congalton is my great great great grandfather. If anyone has further information on him, I would be very grateful.